Chinese interest in Bordeaux appears buoyant following reports that one of the country’s major hotel firms has agreed to buy Cadillac estate Château de Birot. New Century Tourism Group, which claims to be among the 20 largest hotel operators in China and also boasts a real estate division, is understood to have agreed a provisional deal through Christie’s Real Estate to acquire the 37-hectare property. Located 35 kilometres south of the city of Bordeaux, Château de Birot was established in the 18th century and has been owned since 1989 by the Fournier-Casteja family, who have carried out a major renovation programme in recent years. The estate has targeted significant commercial energy at the Chinese market, and last year its 2008 vintage was selected by online retailer Wangjiu as the wine most suited to the Chinese palate. This resulted in the entire 12,000 bottle allocation selling out within a month of being listed on the Wangjiu website. The details of the deal to buy Château de Birot have not been made public, but New Century Tourism Group’s extensive hotel network across China is likely to prove a useful route to market for its new wine asset. Although the earlier flurry of Bordeaux château acquisitions came under scrutiny as part of a wider corruption crackdown among Chinese government officials, there remain signs of interest in acquiring French wine estates, especially those in Bordeaux. 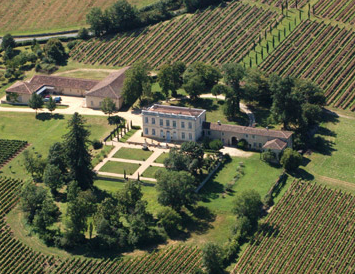 Although the majority of these purchases focus on estates such as Château de Birot, which sit outside the major Bordeaux classification systems, last year saw the Rolland family’s Pomerol property Le Bon Pasteur sold to a Chinese businessman.